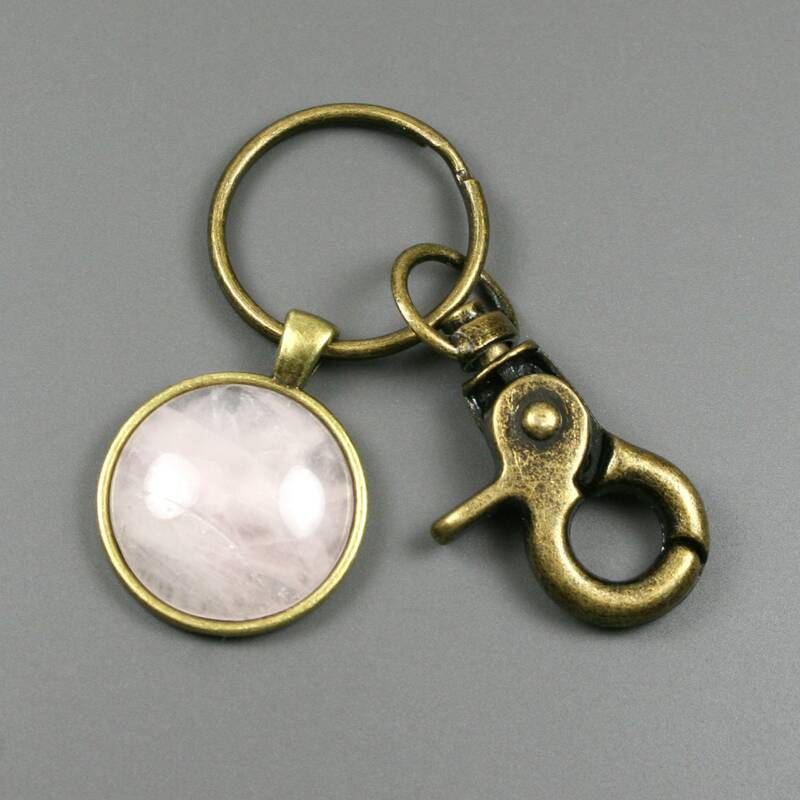 This key chain is made from a 25 mm round rose quartz stone cabochon that has been set in a 25 mm round antiqued brass bezel setting and attached to an antiqued brass metal key ring with a swiveling lobster claw attachment. 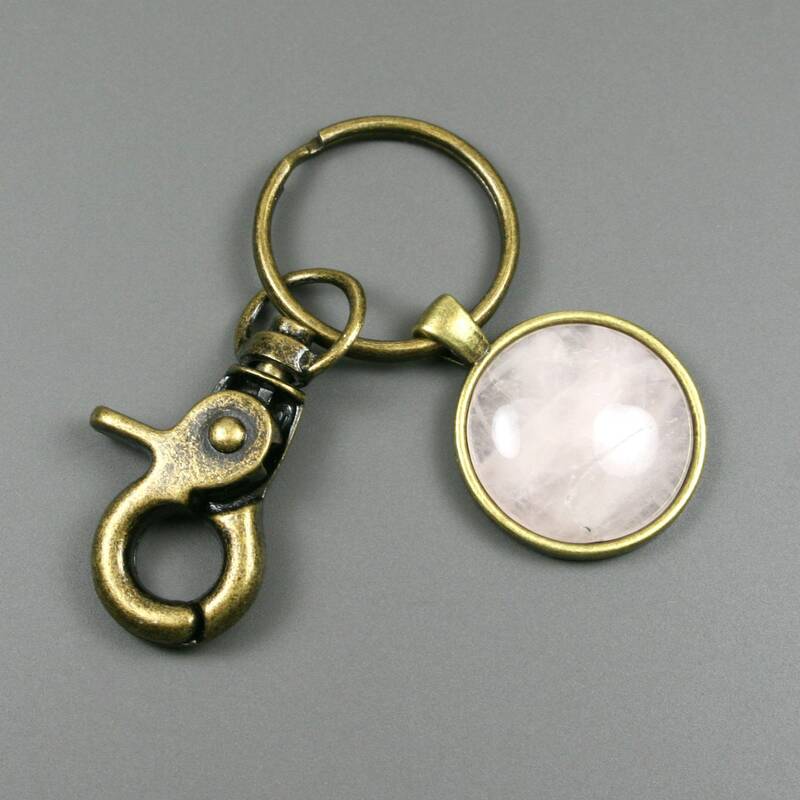 Rose quartz is a pink, semi-translucent stone that is often associated with the heart. Its translucence allows the subtle striations of the stone to be seen against the contrast of the bezel. 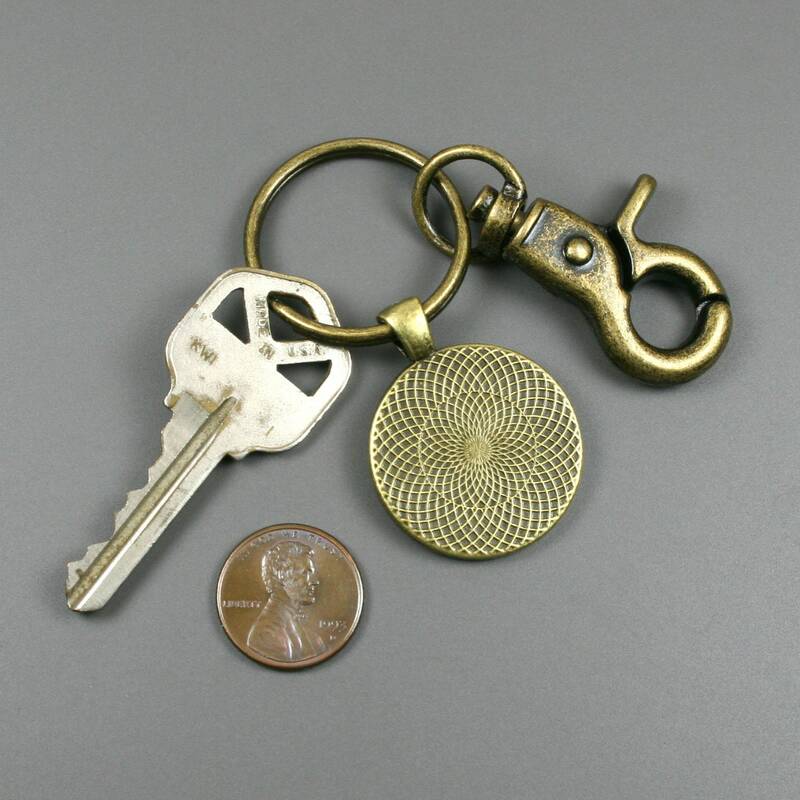 It is known for supporting all types of love, compassion, and healing of broken hearts.